Artec Spring Deal extended until the end of May! Buy an Artec 3D scanner in spring 2016 and get two years free subscription to Artec Studio. Includes upgrade to upcoming Artec Studio 11! 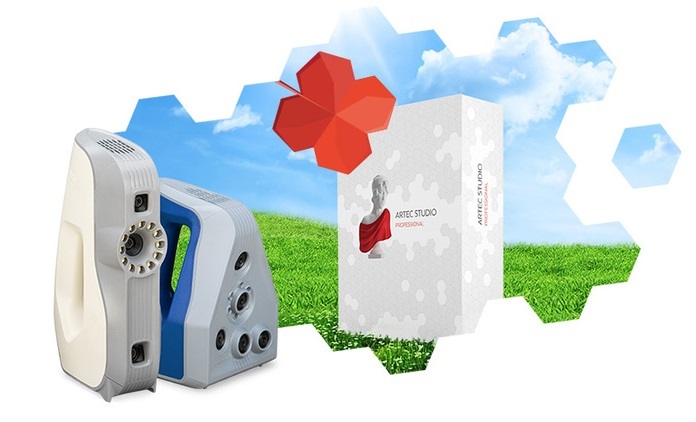 Practice shows our clients and partners are big fans of our promotional campaigns, thanks to which Artec 3D scanners and software can be purchased at lucrative prices. The Artec Spring Deal offered during March and April has been so popular we have decided to extend it for one month, allowing even more users to get a free two-year subscription to Artec Studio Professional when they buy an Artec Eva, Space Spider, or Spider scanner. If you haven’t taken advantage of this offer yet, be sure to do so until the end of May – that’s when we’ll wrap up the campaign. Keep in mind that the Artec Spring Deal entitles you to all software upgrades during the two year subscription period, including the upcoming Artec Studio 11. With the release date just around the corner, the very latest version of our advanced 3D scanning and processing software will feature breakthrough automated algorithms to reduce user involvement to the minimum, while guaranteeing the most accurate results in record time. Great for new and experienced users alike! Keep in mind that the Artec Spring Deal entitles you to all software upgrades during the two year subscription period, including the upcoming Artec Studio 11. Artec Eva, Space Spider and Spider are industry acclaimed tools which create accurate 3D models of physical objects with the most complex geometry. Artec 3D scanners are used in more than 190 countries in areas such as reverse engineering, metrology, quality control, computer graphics, orthopedics, prosthetics, paleontology, heritage preservation and many others. Making a watertight color 3D model with Artec scanners is straightforward, thanks to the intuitive Artec Studio, which automates much of the scanning and processing. Making a watertight color 3D model with Artec scanners is straightforward, thanks to the intuitive Artec Studio, which automates much of the scanning and processing. Scanning is made easy with the software’s powerful geometry and texture tracking and the automatic realign of tricky areas. You can build a 3D model as you scan, or choose to process data later. The software’s fast, accurate editing tools allow you to perfect your 3D model, modify its texture or simplify the mesh. All of this comes for free with a scanner purchase in the spring of 2016, so don’t miss out on this great opportunity! We can organize a one-on-one demo of our products for you wherever you are. A dental implant specialty practice needed to find a way to digitally align patients' faces with their teeth, quickly and precisely, for designing implants that look natural and feel great. Two archaeologists hosting the TV show America's Lost Vikings decided to use color 3D scanning to try and determine the true age of this controversial artifact. For the past two years, researchers from 3DVisLab have been working with the Nunalleq Archaeology Project near the Alaska Native village of Quinhagak to develop a digital educational resource to help teach local children about the excavations as well as their Yup’ik heritage.